This is “China’s Periphery”, section 10.3 from the book Regional Geography of the World: Globalization, People, and Places (v. 1.0). For details on it (including licensing), click here. Outline Hong Kong’s progression from a British colony through the transformation into a special autonomous region of China. Describe why Hong Kong and Shenzhen have been important to the development of the Chinese economy. Understand the development of and reasons for a government for Taiwan that is separate from the government of mainland China. Describe the current relationship between Taiwan and mainland China. Explain the challenges that Tibet has experienced in becoming an autonomous region of China. Understand who the Dalai Lama is and describe his traditional position within Tibet. Summarize the role Mongolia played during the Cold War and learn how that role is changing as Mongolia becomes more involved in the global economy. Explain why the peripheral regions of Tibet, Hong Kong, and Taiwan are important to the Chinese government and the vitality of the country. The heartland of China has always been part of China Proper. Surrounding China Proper are a number of autonomous regions, associated territories, and independent countries. These peripheral areas buffer China Proper from the rest of the world. They also provide China with either access to trade relationships or access to raw materials needed for development. Each peripheral political unit has its own unique physical and cultural characteristics and, in many cases, a minority population that is other than Han Chinese. Hong Kong is a former British colony and includes a number of islands on the southern coast of China. Hong Kong includes an excellent port, Victoria—one of the best in Asia. Victoria’s deepwater port is on the interior side of Hong Kong Island and is protected from the sea, allowing ship access to an extensive sheltered harbor area. 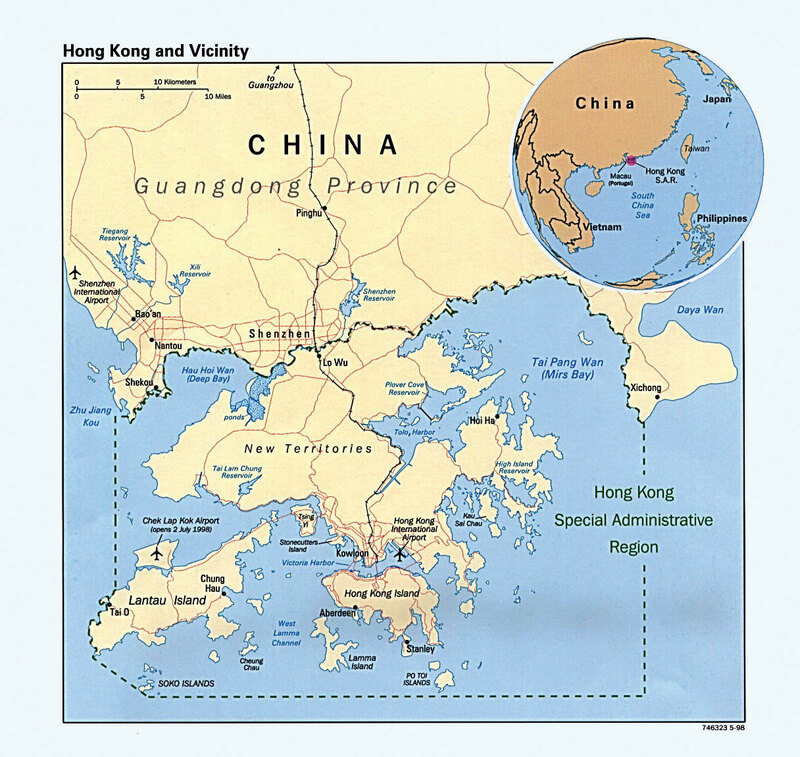 To the north of Hong Kong Island is a peninsula called New Territories, which the British agreed to lease from China in 1897 for a period of ninety-nine years. Bordering the New Territories on the mainland is the rapidly growing industrial city of Shenzhen. Hong Kong was a major entry point into China for Britain during the colonial era. The colony was a British outpost that created a doorway for British expansion into China. The port allowed for an early trade relationship to become established. The trade relationship was broken during the Korean War in the 1950s. Britain and China found themselves on opposite sides of the war. China was a newly created Communist country and sided with North Korea; Great Britain was a capitalist country and sided with South Korea. The boundary between the busy port of Hong Kong and China was closed. This left Hong Kong with a world-class port but no access to its main markets in China. Instead of closing the port and shutting down shipping, the business community of Hong Kong took advantage of its unique situation and first-rate port to create a world trade center. Ships would import raw materials, which would be processed or manufactured into finished products. The products would then be shipped back out at a profit. Source: Map courtesy of University of Texas Libraries, http://www.lib.utexas.edu/maps/middle_east_and_asia/hong_kong_pol98.jpg. From the theory of how countries gain wealth, recall that manufacturing was traditionally the method with the highest value-added profits. Hong Kong is a good example of this in action; that is, manufacturing was a successful method of gaining wealth for Hong Kong. First, low-level goods such as clothing and textiles were produced with Hong Kong’s cheap labor and low costs. As business increased, higher-level technical goods were produced, such as radios and other electronic products. Incomes increased. Soon, Hong Kong was a business and banking center trading with all global markets. International trade attracted a strong financial network that enhanced the free market system in Hong Kong. Business in Hong Kong attracted attention in Beijing. Chinese leader Deng Xiaoping, who had begun China’s open door policy in the 1980s, viewed Hong Kong as a major access point to establish trade and commerce with. In the 1990s, the special economic zone of Shenzhen became an important development area for Chinese industries and multinational corporations. China once again used Hong Kong as a major trade corridor so that about one-fourth of all the country’s imports and exports were being shipped through the port of Hong Kong. During the 1990s, as China actively invested in its industrial sector, it sought ways to attract the business generated by Taiwan and Hong Kong, two economic tigers. Opportunity came knocking in 1997 when the ninety-nine-year lease of the New Territories to Britain expired. China did not want to renew the lease. A deal covering all of Hong Kong was struck between China and Great Britain. Britain would relinquish all its claims to Victoria, the port, and all of Hong Kong if China would allow the area to remain non-Communist and under its own autonomy for fifty years. China agreed, and Britain left Hong Kong in 1997. Hong Kong became associated with mainland China as a special autonomous region, but remained capitalist and democratic in its operations. This opened the door for Taiwan and other trading partners to increase trade with China through Hong Kong. Shenzhen, a special economic zone (SEZ) across the border from Hong Kong in China, was ready to capitalize on its accessibility to the port and the enormous trade that had been established by Hong Kong. Shenzhen became one of the fastest growing cities in the world and has become a center of manufacturing and trade for the global economy. It grew from a moderately sized city of about three hundred fifty thousand in the early 1980s to a city of ten and half million by 2010, and is still growing. One of Shenzhen’s largest trading partners is the Walmart Corporation, as factories in the city produce goods for export to the United States and sale in Walmarts around the country. Shenzhen has established a port of its own and is a magnet for international trade. More than 95 percent of the seven million people living in Hong Kong are ethnically Chinese. The people have strong ties to mainland China but highly value their separate and independent economic and political status. Hong Kong is a major financial and banking center for Asia and has been working with the Chinese government to provide private banking services for Chinese citizens. 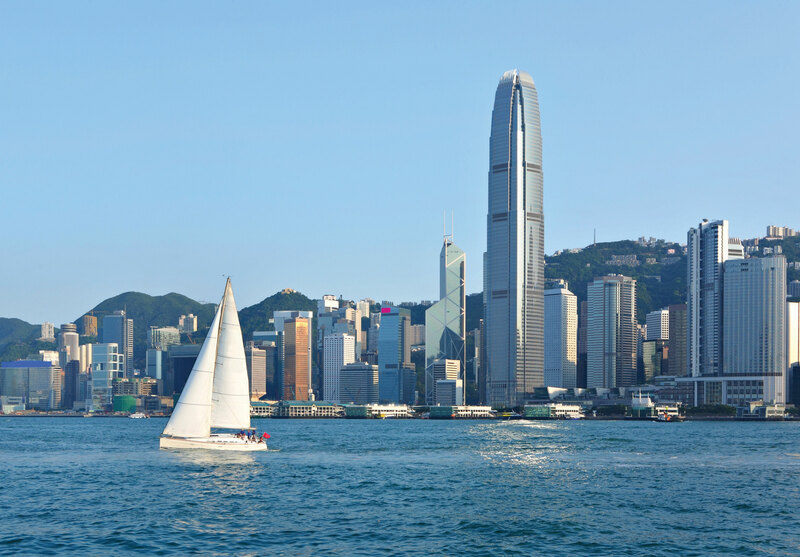 The small land size of Hong Kong makes it a high-priced real estate destination. The cost of living is high, and space is at a premium and expensive. Nevertheless, Hong Kong attracts millions of visitors per year and has established itself as a tourism hub for people desiring to visit southern China. Tens of millions of tourists each year use Hong Kong as a base or stopover point to enter China’s southern provinces. Hong Kong offers visitors immense shopping possibilities in a safe and modern environment that is attractive to people from all over the world. Cantonese is the official language, but English is widely spoken in Hong Kong because of Britain’s influence and because of world trade relationships. Victoria Harbor in Hong Kong, with its deepwater port and solid bedrock island, allows oceangoing vessels to dock right next to high-rise business and office complexes. Across the Pearl River Estuary to the west is the former Portuguese colony of Macau. The arrangement between China and the British government over Hong Kong provided a pattern that was also applied to Macau. At the end of 1999, Portugal relinquished its claim to Macau and the colony was turned over to the Chinese government under an agreement similar to the agreement between Britain and China regarding Hong Kong. Macau was enabled to retain its autonomy and free-market economy for fifty years as it becomes a special administrative region (SAR) of China. Macau is a much smaller territory than Hong Kong, and home to only about half a million residents. Taiwan is separated from the Chinese mainland by the Taiwan Strait. In 2010, the population of the island, which is about the size of the US state of Maryland, was twenty-two million. The island is mountainous and has rugged national parks in its interior, while most of the people in Taiwan live in bustling cities along the coast. Taiwan’s push for good education and technical skills for its citizens has paid off in the form of high incomes and an industrialized economy. After World War II, when China raised its Bamboo Curtain, the United States cut its trade relations with the Communist mainland. However, the United States did trade a great deal with the Nationalists in Taiwan. The deep tensions that exist between China and Taiwan are easy to understand given the history that led to Taiwan’s current existence. One of the flash points in China-Taiwan relations has been the “One China” policy. Originally asserted by Beijing, the principle contends that there is only one indivisible China, which encompasses all of China, including Taiwan, Hong Kong, Macau, and Tibet. During the Cold War, the sizeable population of mainland China was attractive to US corporations that sought trade with China. In 1972, for the benefit of the United States and to counter the influence of the Soviet Union, US president Richard Nixon organized a visit to Beijing that opened the door to US-China diplomatic relations. There were conditions placed on the open door agreement that followed. One condition that mainland China imposed was for the US government to recognize the Communist government in Beijing as the official China. To do this, the United States had to move their US embassy from Taipei, the capital city of Taiwan, to Beijing and recognize only the Beijing government as the official China. The United States agreed to this policy. As a result, no government official in the US State Department, cabinet level or higher, can officially visit Taiwan; at the same time, no equal-level diplomat from Taiwan can officially visit the United States. This policy placed Taiwan in an ambiguous position: Is Taiwan an independent country or is it a part of mainland China? Mainland China has always demanded that in order for countries to have good relations with the People’s Republic of China (PRC), they must not recognize Taiwan (Republic of China, or ROC). This has caused intermittent problems for the United States and other countries. The termination of diplomatic relations between the United States and the ROC was a huge blow for Taiwan, even though the United States continued to conduct trade with the island. The United States has always supported Taiwan’s economic independence. In 2007, the United States sold military arms to Taiwan. As a result, China began to deny routine access to its ports for US ships. Taiwan’s status on the world stage has fluctuated. For about twenty years after the Nationalists set up a government in Taiwan, the ROC held a seat in the United Nations (UN), and the UN recognized Taiwan’s claim as the legitimate government of China. In 1971, the UN changed its position and gave the seat to Beijing. The UN indicated it could not give a seat to Taiwan because Taiwan is not recognized as a legal nation. 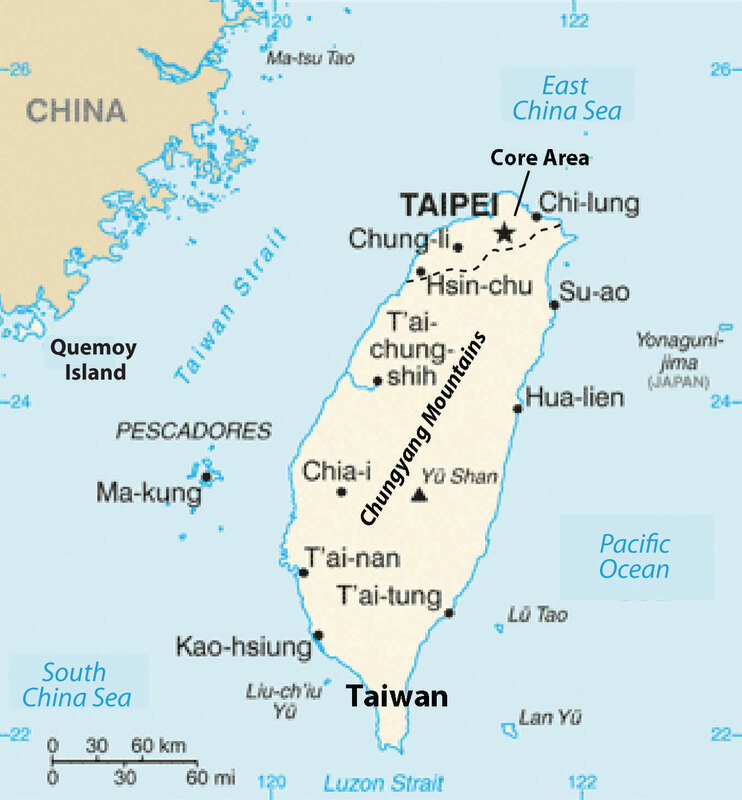 Taiwan (ROC) is located just across the Taiwan Strait from Mainland China (PRC). In 2000, Taiwan renewed its efforts to be internationally recognized as a sovereign nation and announced tentative plans to formally secede from China. China responded with many threats and conducted military exercises across the strait from Taiwan. The military exercises were seen as another threat, essentially a show of military might, meant to intimidate Taiwan into retreating from its secessionist position. The United States supported Taiwan by parking a naval fleet nearby, which incensed the mainland government. In 2005, China passed a law authorizing the use of military force to stop any secessionist actions by Taiwan. 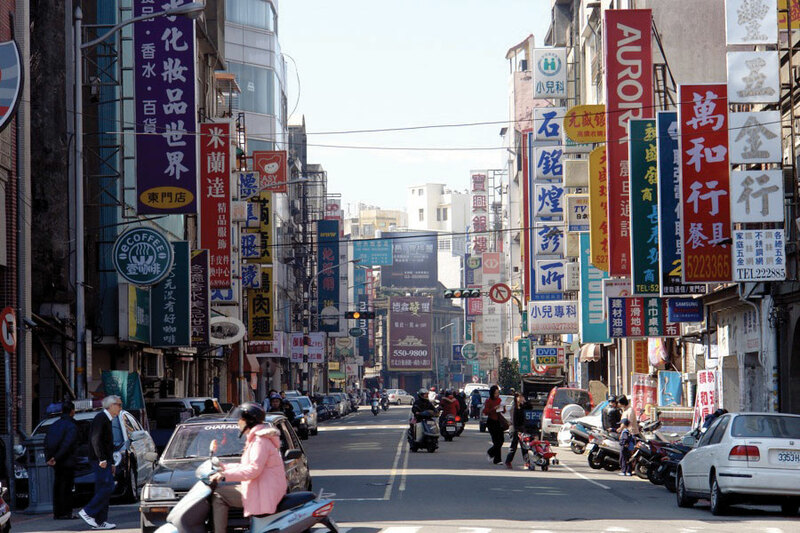 Taiwan’s economy continues to use its skilled labor base. In years past, Taiwan’s factories produced textiles and light clothing. As incomes and skills advanced, production shifted to electronics and high-end goods, which it has since been exporting around the world. Taiwan has achieved a high standard of living for its people. When trade opened up through Hong Kong with mainland China, many Taiwanese industries shifted production to the SEZs along China’s coast. Labor in SEZs is less expensive, leading to a corresponding rise in profits. Unfortunately, this has resulted in higher unemployment levels in Taiwan. Source: Photo courtesy of J Aaron Farr, http://www.flickr.com/photos/jaaronfarr/383526911. In the past few years, Taiwan’s focus has turned from secession to trade. In 2008, Taiwan elected a government that, though nationalist in its ideology, is committed to strengthening trade and investment with China. Taiwan entered the World Trade Organization (WTO) in 2001 using the name Chinese TaipeiTitle allowed by the Chinese government for the designation of Taiwan.. That move started a cascade of actions that improved “cross-strait” trading conditions, and within just a few years, direct trade between China and Taiwan has become extensive. The question of Taiwan’s political status is as yet unresolved and is clearly still volatile, but trade and investment between China and Taiwan are robust and growing. Taiwan has been able to independently compete in world-class sporting events, including the Olympics, under the name Chinese Taipei. Located in mountainous southwestern China, Tibet is classified as one of China’s autonomous regions, a disputed political arrangement. It is debatable whether Tibet or any of the other Chinese regions are actually autonomous. The legal structures actually allow for very little self-governance, and most new initiatives require approval from the Chinese central government. Tibet had been an independent entity through much of its history and governed itself as a Buddhist theocracy. Its theocratic political system established the Dalai Lama as both the head of state and the religious leader of the Tibetan people. Tibet has had a complicated history with China. This is as true of its early history as it is today. In its early history, Tibet was an independent kingdom with its unique type of Buddhism as its state religion. It was during this era that a system of Lamaism, a hierarchy of monks or other religious leaders, took hold. China’s influence in Tibet waxed and waned during the later years of the kingdom, in the tenth century. The Mongols subsumed Tibet into their empire during the first part of their conquests in the thirteenth century. However, in the fifteenth century, the Mongols gave considerable local authority to the Dalai Lama, making him the spiritual leader as well a powerful political figure. Tibet came under the control of China during the Qing Dynasty. When imperialist rule ended in China in 1911, Tibet began to once again assert its independence. Chinese, British, and Tibetan officials met and came up with an agreement that partitioned Tibet into Inner Tibet, which would be controlled by China, and Outer Tibet, which would be independent. China later indicated its intention to control all of Tibet, a move greatly resented by the Tibetan people. When Communists took control of China in 1949, the Dalai Lama was originally allowed control over domestic affairs while China would control all other governmental functions. The Chinese government then took steps to greatly reduce the powers of the Dalai Lama and the Panchen Lama (spiritual leader). With the intention of spreading Communism to Tibet, China destroyed monasteries, religious symbols and icons, and other long-practiced ways of life were threatened. The Tibetans considered the Chinese political dominance a cruel and invading force. Monasteries were burned, monks were beaten or imprisoned, and Buddhism was brutally suppressed. Potala Palace in Lhasa, Tibet, rests at 12,100 feet above sea level. This is the former seat of government of the Dalai Lama in Tibet and is a UNESCO World Heritage Site. Source: Photo courtesy of Ondřej Žváček, http://commons.wikimedia.org/wiki/File:Potala.jpg. Tibetans revolted in 1956. Backed by the United States, the revolt continued even as China indicated it would suspend the transformation of Tibet. China brutally crushed the revolt in 1959, leaving tens of thousands of Tibetans dead or imprisoned. The Dalai Lama and thousands of Tibetans fled to Dharamsala, India, where they established a government in exile. At this point, China had a firm grip on Tibet, and in 1965 the reorganization of Tibet into a Chinese socialist region began in full force. During the 1980s and early 1990s, China expressed some willingness to relent in its authoritarian control of Tibet. However, they demanded that the Dalai Lama renounce claims of Tibetan independence, which he refused. Demonstrations and continued violence occurred throughout this period. Chinese-Tibetan relations were further damaged when the Panchen Lama died mysteriously shortly after criticizing socialist reform in Tibet. The Panchen Lama is the next-highest Buddhist official under the Dalai Lama. There is now a controversy with the Chinese government over the selection of the eleventh Panchen Lama. China and Tibet both claimed the authority over choosing the Panchen Lama and each named a different person to take on the role. The situation illustrates the conflict over the minds and the people of Tibet. 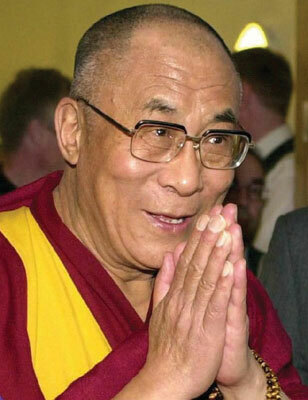 The Dalai Lama is the spiritual and political leader of all Tibetans. The Dalai Lama is thought to be the current incarnation of past Buddhist Masters, or Tulkus. The Masters have grown behind the cycle of death and rebirth and choose their own time of rebirth to help educate humanity in how to live. As indicated, the Dalai Lama was always considered the head of state for the government of Tibet and its capital was located in Lhasa. Tenzin Gyatso is the rebirth of the thirteenth Dalai Lama. When he was fifteen years old, on November 17, 1950, he became Tibet’s fourteenth Dalai Lama. This occurred only one month after China’s invasion of Tibet. The Dalai Lama originally, under military pressure from China, ratified the 1951 Seventeen Point agreement. In 1959, he left Tibet and went into exile in India. China has crushed any attempt of Tibetan resistance. While in India, the Dalai Lama has established the Tibetan government in exile and is attempting to preserve Tibetan culture among the thousands of refugees that have accompanied him. Source: Photo courtesy of Marco Bonavoglia, http://commons.wikimedia.org/wiki/File:Tenzin_Gyatzo_foto_1.jpg. In 2008, a peaceful protest led by Buddhist monks turned violent. Chinese authorities responded with a harsh crackdown. The world’s attention was focused on China at the time because the Olympic Games were under way in Beijing. China has often been a target for protests because of its human rights violations against Tibetans and other minority groups. Little attention was drawn to Tibet during the 2008 Olympic Games. China wanted to showcase its advancements in industrial development and culture and did not want the world to focus on the issues with Tibet or any other part of China. The population of Tibet is only about three million. They mainly live in the mountain valleys, below seven thousand feet. 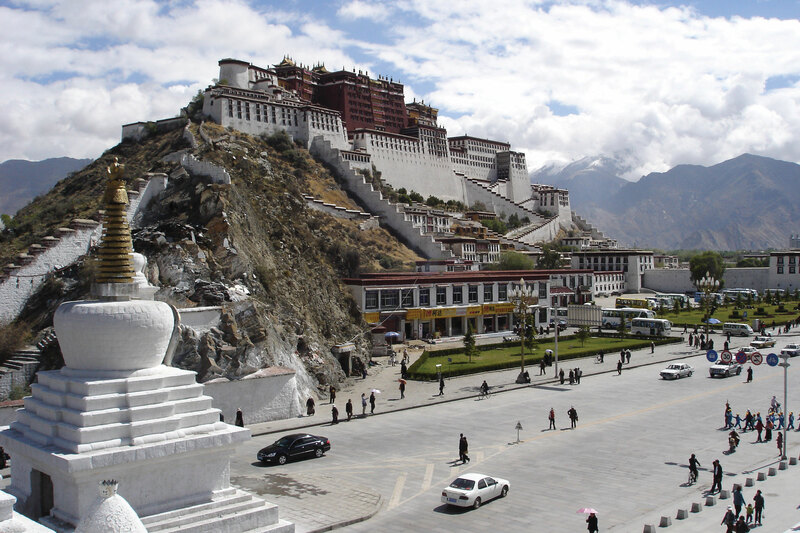 Lhasa is Tibet’s main urban center as well as its capital. In the past couple of decades, China has softened its treatment of Tibetans and restored some of the monasteries. China has also moved thousands of ethnically Chinese people into Tibet to shift the ethnic balance of the population. A major rail line now directly connects Beijing with Lhasa, Tibet. Lhasa will soon have a majority Chinese population with cultural similarities that reflect more the attributes of China Proper than Tibet. The Tibetans who live there are being compromised simply by population dilution. The core-peripheral spatial relationship can be appropriately applied to Tibet and its relationship with China. Tibet is a peripheral region with raw materials that provide benefits to the core areas of China, which require the raw materials for industrial development. As indicated previously, China wants to maintain the mountainous, rural region—with little inhabitable land area and very few people—as a buffer state between India and the Han Chinese heartland of China Proper. Tibet is also becoming more important to the government of Beijing and the business people in Shenzhen and Shanghai. To understand why this is, consider the core-peripheral spatial relationship. 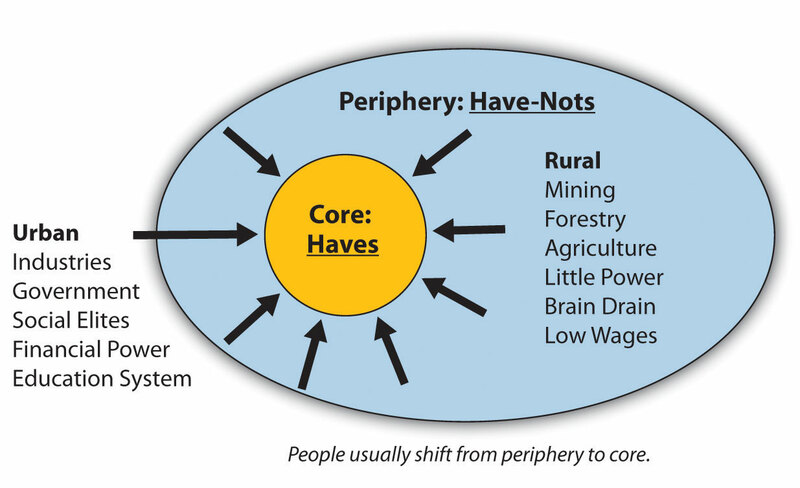 What do the core and the periphery usually have to offer each other? Consider also how countries gain wealth. Tibet can play an important role in the larger picture of the Chinese economy. The mountains of Tibet potentially hold vast amounts of natural resources that could support the growing industrial economy in China, which is based on manufacturing goods for the global export markets. China will continue to see to it that Tibet becomes economically integrated with the rest of China in spite of the cultural differences that may exist. Mongolia ranks as the world’s nineteenth-largest country in terms of square miles. Mongolia shares a similar geography with much of Kazakhstan, which is the world’s largest landlocked nation; Mongolia is second-largest. Despite Mongolia’s large land area (slightly smaller than the US state of Alaska or the country of Iran), its population is only about three million, and the country is the least densely populated country in the world. Mountains, high plains, and grass-covered steppe cover much of Mongolia, a country that receives only between four and ten inches of rain per year, precipitation that usually comes in the form of snow. The Gobi Desert to the south, extending from southern Mongolia into northern China, receives even less precipitation. Inner Mongolia is a sparsely inhabited autonomous region south of Mongolia that is governed by the Chinese government. Mongolia’s modern capital city of Ulan Bator is home to about one-third of the people of Mongolia; it has the coldest average temperature of any world capital. Mongolia’s history includes the great Mongol Empire of Genghis Khan, which was established in the thirteenth century. The Soviet Union used Mongolia as a buffer state with China. Mongolia’s Communist party dominated politics until the Soviet Union collapsed in the 1990s. The current government in Ulan Bator has to contend with Mongolia’s position between the two large economies of Russia and China. Tibetan Buddhism is the dominant religion in Mongolia and is practiced by about 50 percent of the population. The Communist influence is evident in that approximately 40 percent of the population considers itself nonreligious. Most of the people are of Mongol ethnicity. Today, about 30 percent of the people are still seminomadic and migrate seasonally to accommodate good grazing for their livestock. A round yurtA traditional, round, tent-like dwelling of nomadic people of Mongolia that can be disassembled and moved as the people migrate with their herds of livestock to new grazing areas., which can be constructed at whatever location is selected for the season and disassembled for mobility, is the traditional dwelling. Mongolian culture and heritage revolve around a rural agrarian culture with an extensive reliance on the horse. Archery, wrestling, and equestrian events are some of the most popular sporting activities. Wrestling is a major sport of the country. Source: Photo courtesy of hu:Burumbátor, http://commons.wikimedia.org/wiki/File:Mongolian_warriors.jpg. Mongolia’s economy has traditionally been centered on agriculture, but mining has grown in recent years to be a major economic sector. Mongolia has rich mineral resources of coal, molybdenum, copper, gold, tin, and tungsten. Being landlocked cuts Mongolia off from the global economy, but the large amounts of mineral reserves are in demand by core industrial areas for manufacturing and should boost the poor economic conditions that dominate Mongolia’s economy. China has increased its business presence in Mongolia and has been drawing Mongolia’s attention away from its former Soviet ally to become a major trading partner. Hong Kong was a British colony with an excellent port that provided access to China during the colonial era. Hong Kong became an economic tiger and regained its importance for trade with the mainland during the open door policy of China in the 1980s. The colony was returned to China in 1997 under an autonomous arrangement. Taiwan created an independent government after the three-way split in China. The separation from the mainland government has created strained relations between Beijing and Taipei. In recent years, trade and economic exchanges have brought the two Chinas together and they have become more dependent on each other. Tibet established itself as a Buddhist theocracy before the 1949 declaration of the Communist PRC. The Dalai Lama ruled as both political and religious leader of Tibet until China took control. The Dalai Lama fled to India, where he set up a government in exile to continue to promote Tibetan culture and support Tibet. Mongolia is an independent landlocked country with a small population and a large land area. It receives only modest amounts of rainfall. The country was a historic buffer state between the Communist countries of the Soviet Union and China. Mongolia is working to capitalize on its natural resources to engage the global economic situation. What makes the port of Hong Kong significant in both physical characteristics and relative location? Why was Hong Kong important to China? How did Hong Kong become an economic tiger? Where is Shenzhen? Why did this city emerge as one of the fastest growing cities in the world? Why does Taiwan have a different government from mainland China? What type of government does it have? Why is it that a US president or any cabinet-level US official cannot visit Taiwan but can visit Communist Beijing? How did Taiwan develop a high standard of living for its people whereas mainland China lagged behind? Who is the Dalai Lama? Where did the Dalai Lama rule? Where is the Dalai Lama today? What is Tibet’s relationship with China? Why does China want or need Tibet? How was Mongolia viewed by its neighbors during the Cold War? How does China view Mongolia today? What is Mongolia’s physical geography like? What has been the traditional lifestyle in Mongolia?